CBD Oil Review rates Vape Bright with five stars because it qualifies for the Quality, Safety, Charity, Mission & Innovation Badges. Vape Bright is the prime choice for those seeking a straightforward, potent, and consistent experience with phytocannabinoid-rich vape cartridges. With their 1mg of CBD per inhale standard, Vape Bright’s pure extra-strength CBD oil cartridges are head and shoulders above most vaping options – and a true therapeutic option. Additionally, the rich terpene profile of their chemical-free vapes brings an element of satisfaction that is lacking in many other formulations. For quite some time, CBD vape companies were limited to flavored e-liquids that diluted CBD into propylene glycol or vegetable glycerine, causing consumers to have to take an excessive number of puffs to get any effect at all. Rather than creating yet another artificially flavored e-liquid, Vape Bright flipped the CBD vape cartridge market on its head by creating a product that doesn’t hold back on value, flavor, or enjoyability. 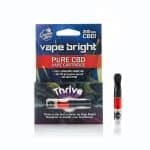 When Vape Bright brought their flagship product – Thrive – to market, it had far and away the highest potency and best terpene profile of any other CBD vape. Years later, their commitment to creating extra-strength CBD vape options remains intact. Vape Bright created a potent delivery device that offers users a substantial 1mg of CBD per inhalation; potency is even higher in the Thrive Beyond version of the cartridge (with 25% more CBD), re-confirming their commitment to creating the most powerful CBD vape anywhere. Thrive still contains only pure, organic hemp oil, and Vape Bright will likely always keep things simple. 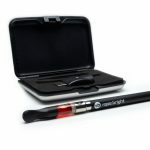 Their focus remains on their Thrive and Thrive Beyond CBD vape cartridges (these pre-filled disposable cartridges fit onto a 510-style threaded vape battery), but they do also sell a “starter pack” on vapebright.org containing everything you need to vape discreetly anywhere, immediately. This limited product selection enables Vape Bright to focus on providing ultimate consistency and quality, every time. Indeed, Vape Bright has found their sweet spot and are doing more each and every day to ensure Thrive remains the pinnacle of the CBD vape world. Want to see how Vape Bright’s Thrive compares to other products out there? 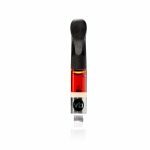 Check out our CBD Vape Cartridge Buyers Guide for a comparison. Quality Verified– Vape Bright is focused on providing the highest quality, organic, phytocannabinoid-rich CBD vape oil available. 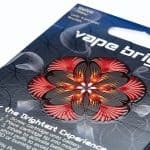 Safety Verified– Vape Bright publishes lab results for their finished goods on their website for the world to see. Mission Verified – Vape Bright strives to build a worldwide community of empowered, vibrant, thriving, happy and healthy people, all committed to sharing the news about the healing power of CBD oil. 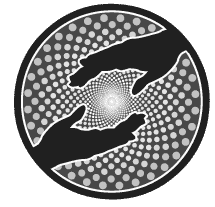 Charity Verified – Vape Bright offers supports innovative psychedelic research and has a discount program for military veterans. 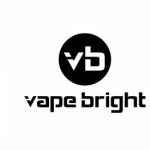 Innovation Verified – Vape Bright dominates the vape market for potency, flavor, and efficacy with their flagship product, Thrive. At this time there are no obvious risks with the Vape Bright company or Thrive brand product. Other considerations are that vape pens are easy to misplace and prone to leakage or coil failure. However, Vape Bright is well known for excellent customer service and does replace any and all such defects. I am presently suffering from herniated disc in my lower back with causes sciatic pain in my leg. Will CBD oil make a difference in easing the horrible pain? Gayle- did you find something to relieve your pain? I just bought the vape bright product above and also use cbd flower. Both have helped immensely with my arthritis. Since your question was posted almost a year ago, I was wondering what you ended up doing?